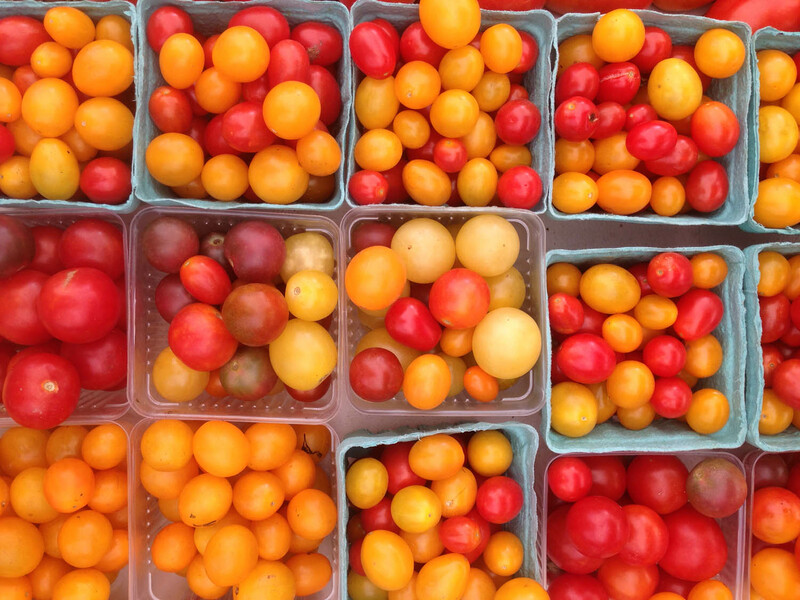 It is finally tomato time at the farmers market. The cherry tomatoes look like beads carved from semi-precious stones: amber, carnelian, citrine and jasper. Their imperfect roundness contrasts with the square boxes, an attempt to instill order amidst mild disorder. I love the blue edges, little lines of added color. 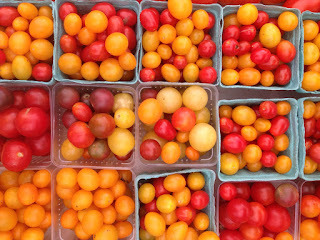 All red, all yellow, mixed colors, big ones, little ones, they are at the farmers market waiting for you---deliciously beautiful.